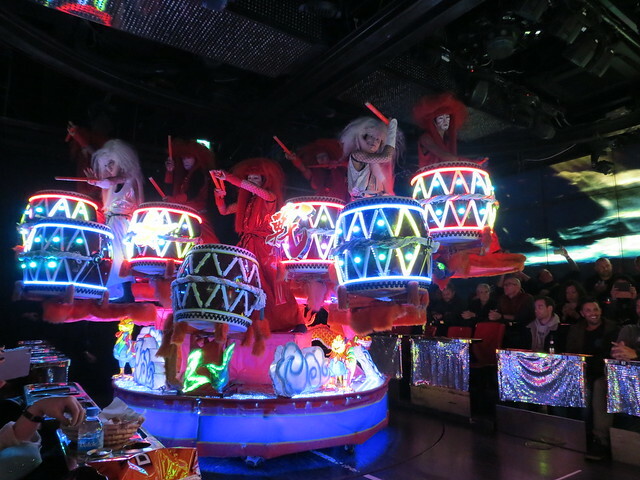 Visiting the Robot Restaurant in Shinjuku’s Kabuki-cho is one of the most touristy things I have ever done in Japan, and it was exactly as I expected it would be. 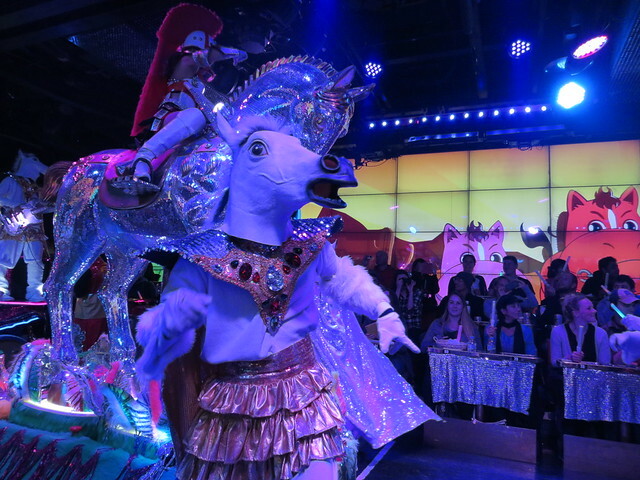 The Robot Restaurant is a bonkers creation. 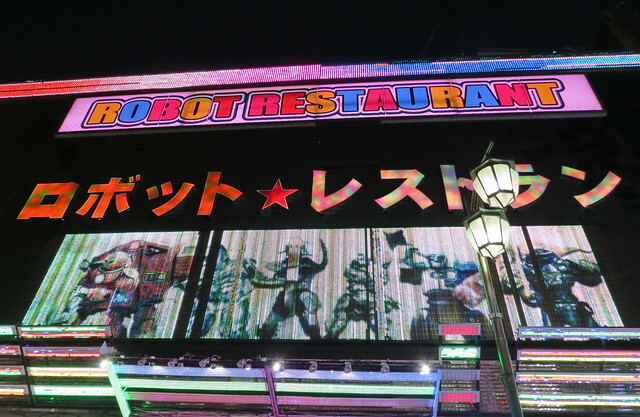 It is neither restaurant nor particularly full of robots in the traditional sense. 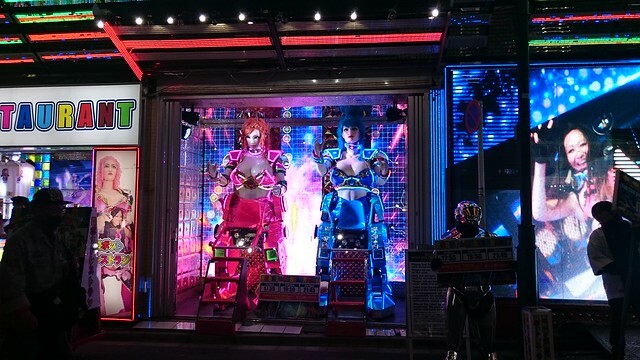 Instead, what is offered is pretty bad bento boxes (which I avoided), lots of alcohol and robotic contraptions ridden by scantily clad dancers. 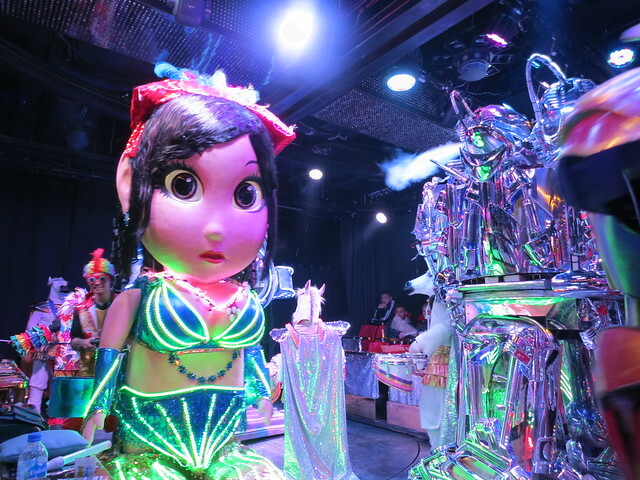 If you’re looking for a crazy night out with a bunch of other gaijin (foreigners), and you don’t mind your entertainment tacky and cheap, then the Robot Restaurant could be for you. It’s nuts, but if you accept it for what it is, it’s pretty fun too. 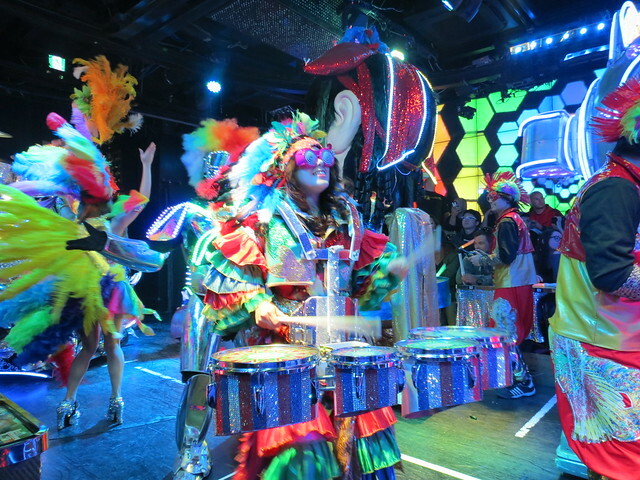 When you enter you are herded into a bar area where music is played and you are encouraged to buy drinks. 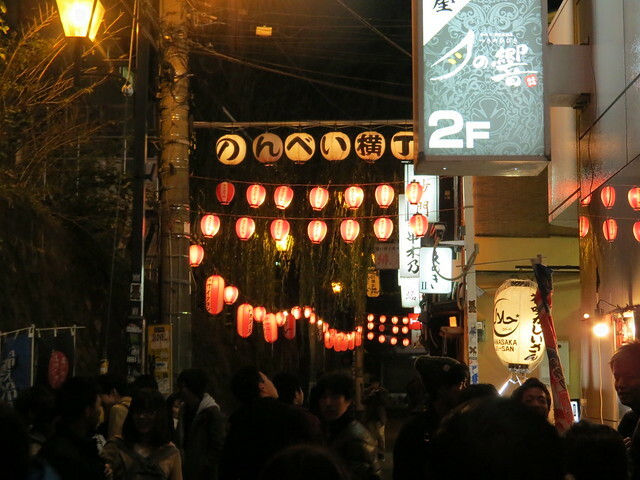 You can see how much this place is aimed at foreigners – there’s hardly a word of Japanese on any of the signs or menus, and the staff all speak enough English to get by. 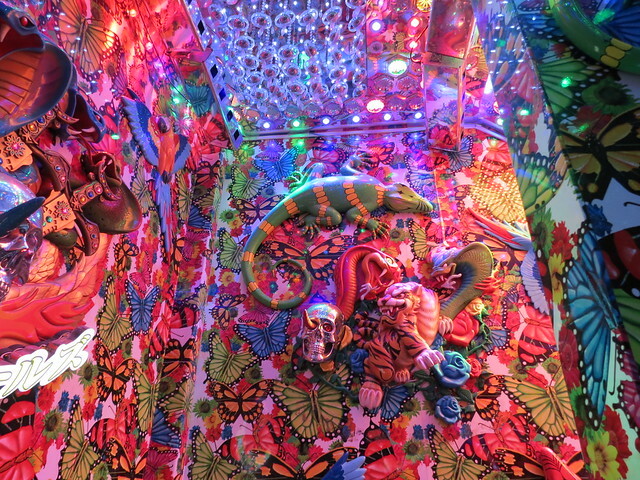 The whole place is covered in mirrors and wildly colourful tattoo-esque designs. It’s not for the fainthearted or those prone to migraines! 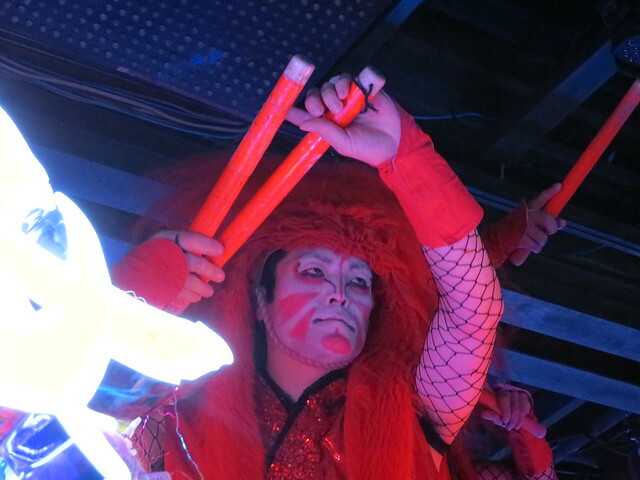 There’s nothing particularly Japanese about the Robot Restaurant except for its use of taiko drums, Japanese pop and rock music and a bit of Japanese imagery, such as kabuki-style make-up on some of the performers. I wonder how many Japanese people go there and what they make of it?! Everything in the show is over the top, and nothing flows together in any sense of a story. It’s just a riot of rock ‘n’ roll, bright lights, dancing and madness! 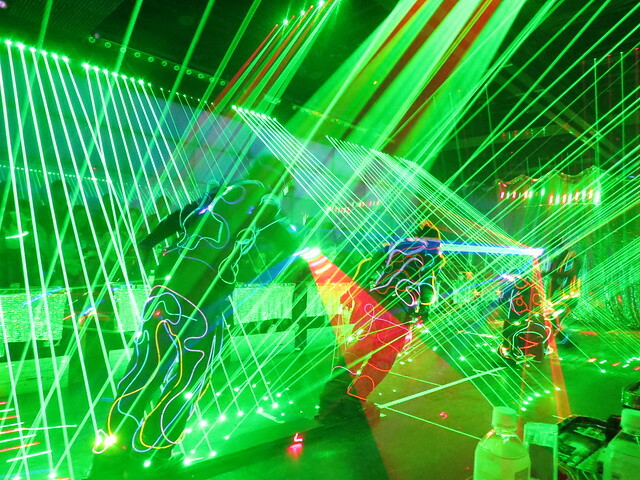 And then there were these cool laser beam people! 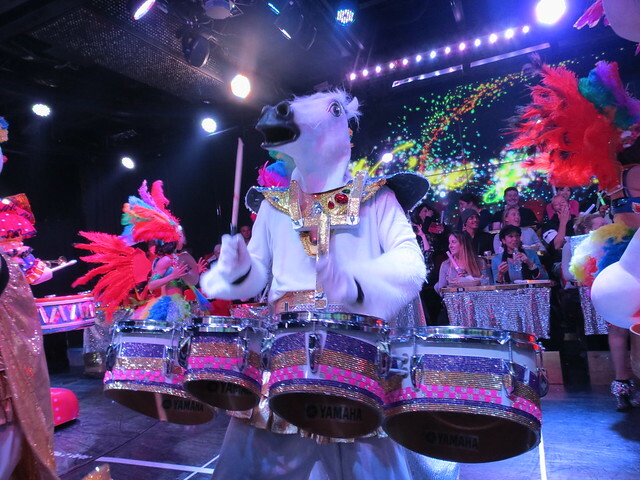 The show finished with an insane parade of people dancing and singing, wearing horse heads, banging drums and riding remotely operated floats. 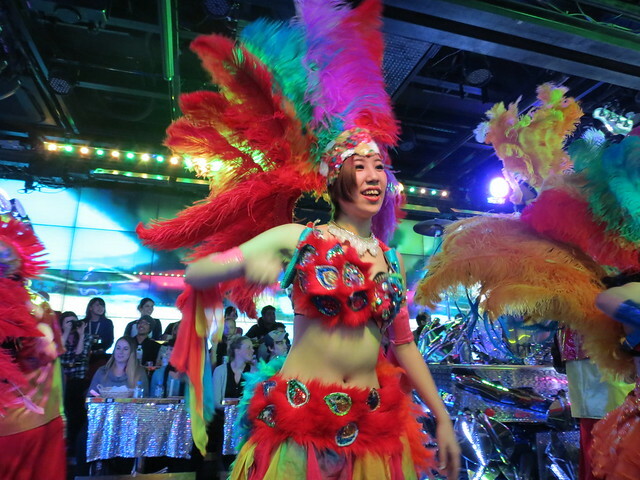 There was a sort of sense of Mardi Gras about it all – a festival, but not like any Japanese festival I’ve ever attended. 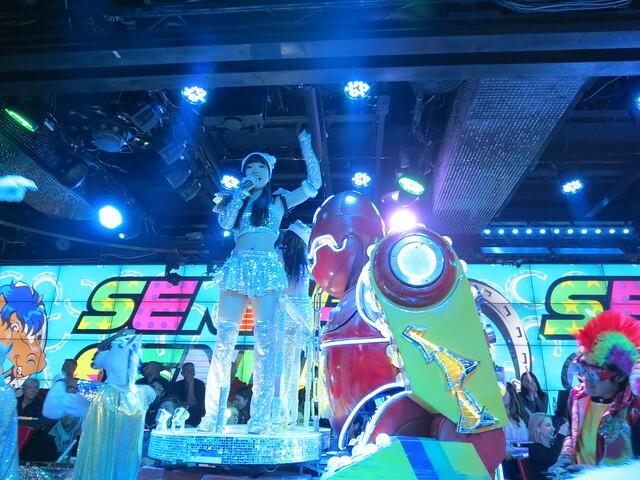 I thoroughly enjoyed myself at the Robot Restaurant, even though it was bonkers. I think you have to go into it expecting nothing but silliness and just go with it. 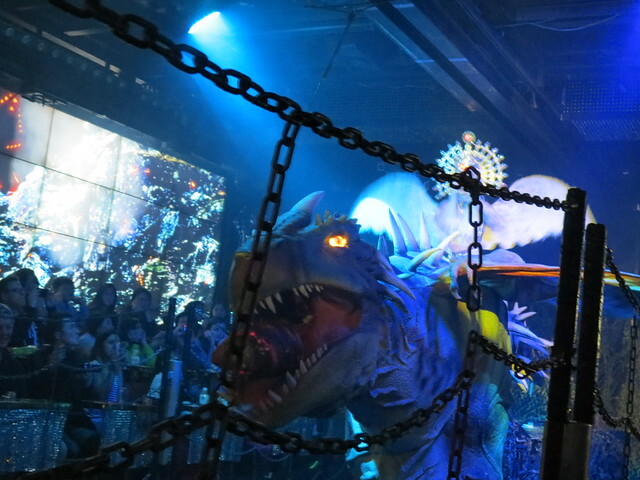 I did also find myself wondering who all the performers were. 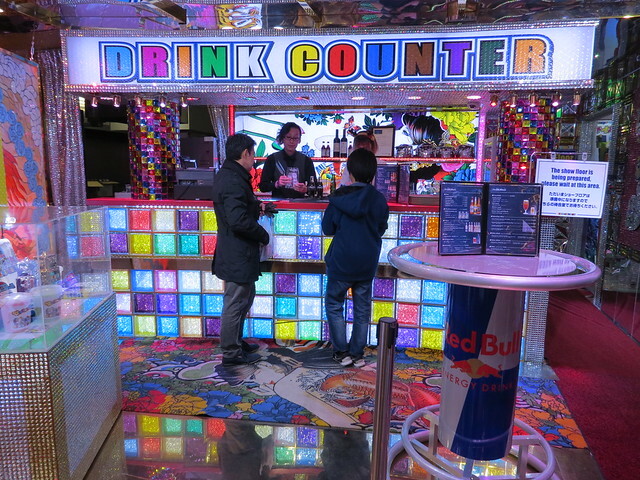 Most seemed to be Japanese, or at least Asian, and I wondered if this was a job they would be proud of or if it was really one step up from working in a host/hostess bar. 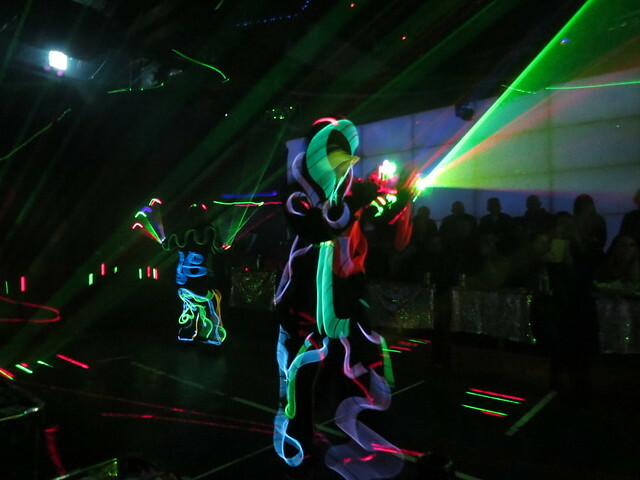 They were all very genki and very entertaining, but I wonder how long they last in the job? Surely you can’t keep up that level of energy day in day out? 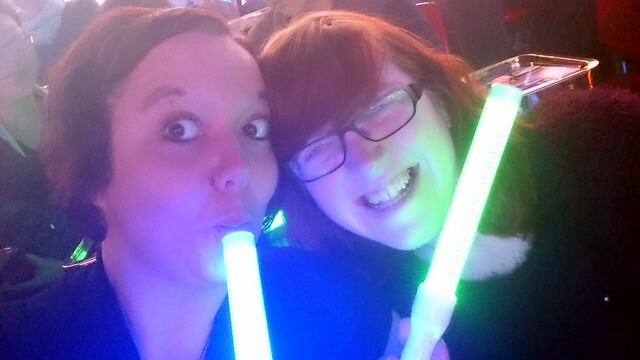 Naturally I had to share this crazy fun with someone, so I went with my friend and colleague Kat who happened to also be in Japan. 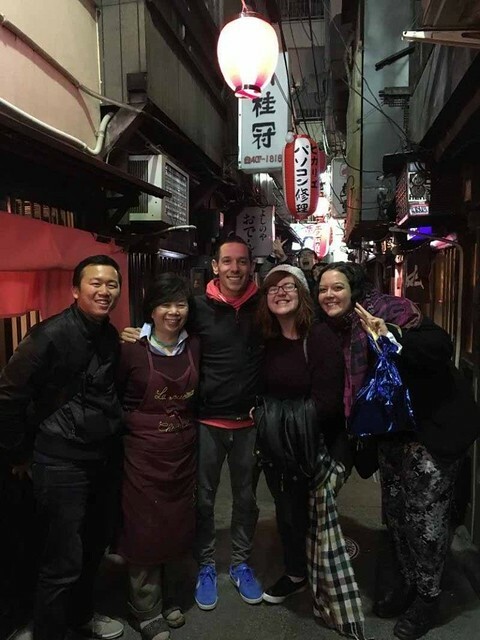 It was the night before my birthday and it was the perfect start to a mad night out in Tokyo! After the Robot Restaurant we met up with tour leader extraordinaire Tyler, a Tokyo local who knows the backstreets like the back of his hand. 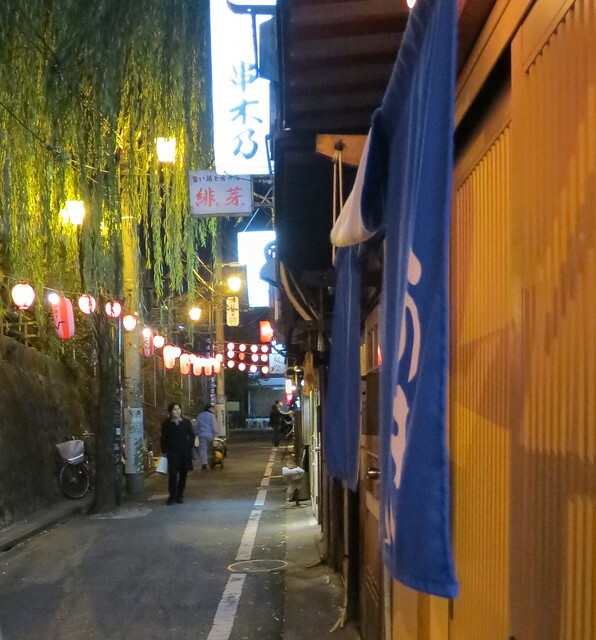 We headed off to I-don’t-even-know-where and had the most amazing dinner in the tiniest restaurant you could imagine. There was no menu, just a lovely mama-san cooking up fresh whatever she felt like. She stood in this tiny square of a kitchen, and we sat squeezed in around the kitchen – the whole room smaller than my bathroom, or so it felt. A couple of locals entertained us as we drank and ate the most amazing food! When it came time to use the toilet, you were handed a teddy bear with a key on it and had to go out the back door and down the alleyway to a separate loo. There was no room for such extravagances as toilets in this restaurant! 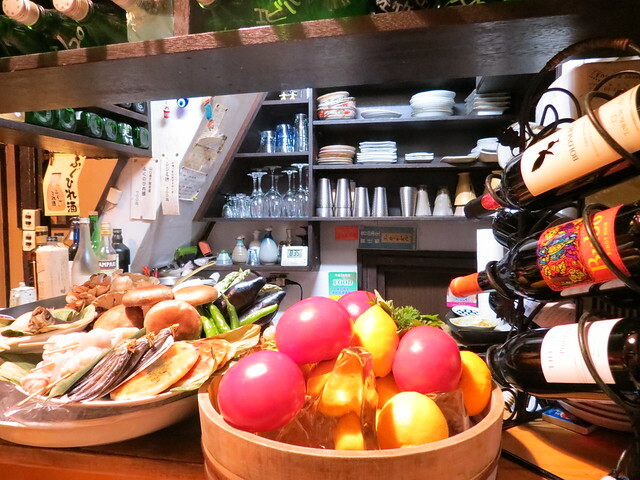 After the tiny restaurant we headed to a bar in Shibuya. Before long I realised I had to dash to get my last train – I was staying out in Chiba at the Tokyo Disney Resort and it would take a while to get back. I ran for the train but somehow just missed it and accidentally got on the wrong one. By the time I realised what had happened I was stranded with nothing to do but hail a taxi. The cab driver looked surprised that I wanted to go so far (and that I spoke enough Japanese to explain my situation! ), but he accepted credit cards so I got in and settled down for a long and expensive taxi ride back to my hotel. 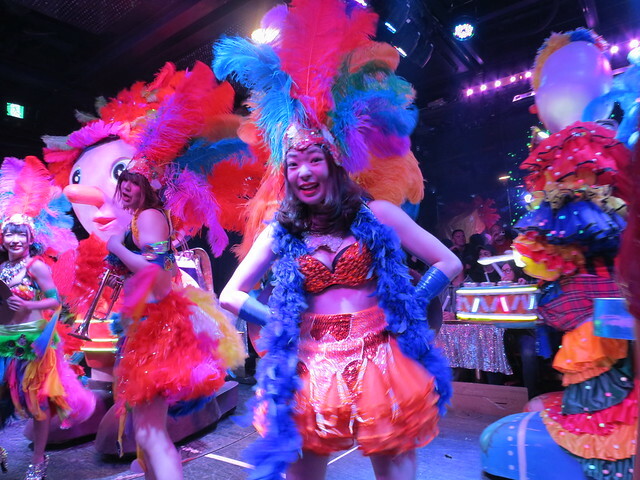 I didn’t care about the expense by then though – it was the best night out I’d ever had in Tokyo! By the time I got back it was already technically my birthday, and I was way too wired to sleep. 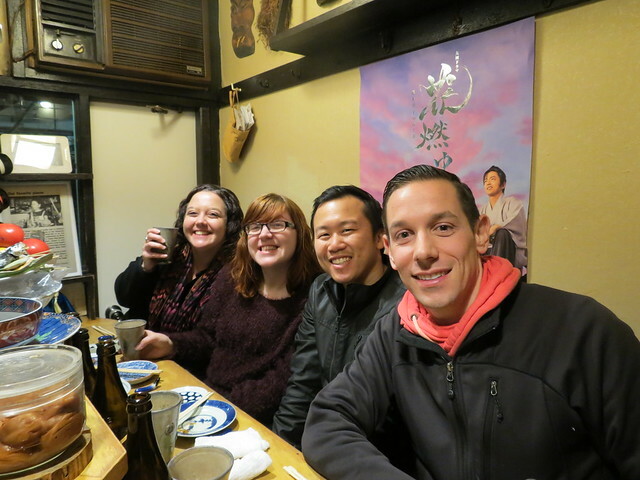 One day left in Japan, and I was going to make the most of every single second! Certainly puts paid to “Inscrutable Japanese”: always a false concept to anyone who has watched their game shows.